Woodland School Principal Mort Argoe has tendered his resignation to the district, according to former Barrington Mayor John Rink. “Mr. Argoe resigned (Tuesday), and (he still) came and worked a fundraiser for our kids. Just speaks wonder of what type of man he is and what we will lose out with him leaving,” Rink commented regarding Argoe’s participation in a fund-raiser at the Silver Diner. “He submitted yesterday and will leave at end of June, after school year is done,” Rink said via e-mail. 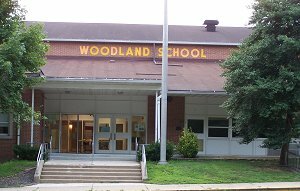 The meeting revolved around an apparent bullying incident at Woodland School. Specific information about the incident was never discussed because the law forbids it. NOTE: The Barrington Bulletin has reached out to Principal Argoe for further details or comment. If he chooses to respond, the site will be updated as quickly as possible. This is so very disheartening to read. This man has dedicated his life to this school and our children in this town. The fact that he was forced to resign speaks volumes about Barrington’s school board. I can only pray that Mr. Argoe is replaced with someone as kind and compassionate as he is about our children and their futures! This is heartbreaking! I have seen this man over the years speak to all of the students on their level….every morning, afternoon, and lunchtime he has been out among the students making sure everything is ok and running smoothly….the students respect him so much that at assembly s, to quiet the students down, all he does is stand before them. He doesn’t have to say a word…..they WANT to hear him speak. I do not know where our district will go from here. I find it interesting this incident is about bullying. Yet the school board and a handful of parents were able to bully Mr. Argoe out of his job. Apples do not fall from trees. Shame on the board , and Tony Arcodia for proving once again Bullies always win. Unfortunately you do not know the facts or details of anything surrounding this case and are gravely mistaken. If you knew the truth, you would be ashamed of your comments. The family you think is the “cause” of the resignation is not the cause, as there are more than a few incidents that lead to this decision. Are you ok with a school official not following the law and not protecting all of the students in a school? Seriously? How can you expect anyone to think otherwise? 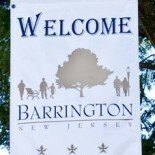 The people of Barrington see the behaviors of the BOE, Mr. Argoe and Mr. Arcodia. They see how clumsily this situation has been handled. They hear the support for Mr. Argoe from the mouths of students, teachers, parents and police officers. And yet they are not given details as to why the BOE asked him for his resignation; does the punishment fit the crime? If a law was broken and the offense was criminal, the BOE could’ve fired him, with or without tenure. Why did they not do that?? So again, how can you expect anyone to think otherwise? If you are all-knowing, please tell us why we should feel differently. There are enough reasonable people in this town, that given the details, would be able to place the blame where it belongs. I don’t think anyone would want Mr. Argoe to remain at Woodland if he is not protecting students, but until we are given reason to think otherwise, and not asked to BLINDLY follow cryptic evidence to the contrary, the BOE and Superintendent appear to be untrustworthy. I would not agree with that whatsoever. The BOE cannot say anything due to the law, but when asked if he wanted to talk to his “supporters” about why this was happening he declined to comment. All he had to do was to tell everyone that was supporting him the reasons this was happening and he refused. That to me says a lot about Mr. Argoe. I also have to state that the only people who handled it poorly were the small group of townspeople that showed up for Mr. Argoe. People that do not even know the family are bashing them for sticking up for their child. If you want to know what the charges are you should probably ask Mort Argoe yourself, but he apparently won’t tell you. Yes, it does say a lot about Argoe, sounds like he was continuing to protect the student that all of this surrounds. Most of us do know the family it is about, and quite frankly there was always drama surrounding them at school. Not all the blame should be placed on Mr. Argoe. That is an interesting statement since it seems that Mr. Argoe himself is the one that gave out the families name to his supporters. He could still tell the story without giving personal information out. I do have to say he did put on quite a show to make himself look like the victim. If he is such a fighter, like he seems to be, why not fight for what he believes in? Unless what he believes in is something that he doesn’t want people to see. He wasn’t protecting the child, he is only protecting himself. I can completely understand your frustration in not knowing all the details surrounding Mr. Argoe’s behavior. I believe at the board meeting, he was given the opportunity to disclose what happened, but he refused. I know if I was being unfairly accused of something I would want my story to be heard. If he is so sure of his innocence, then why did he not speak up? From what I know this situation has not been handled clumsily, but with careful thought and in the realm of the law. I am a little disturbed that you say police officers are offering their support…..aren’t they supposed to be unbiased in their job, solely making sure the law is followed and citizens are protected? I can just hope that people keep an open mind and know that there are two sides to every story. I would be cautious of the support you offer. But mostly people need to remember that the family they think is the “cause” of all of this, is a good family, with good morals, who just happened to report an incident because they care about and want to protect their children. As we ALL do. That is our job as parents. Sometimes doing the right thing is not popular, but that doesn’t make it any less right. It is so disheartening to hear the things being said about good people…nasty, lies are begin spread on the internet and on the streets. And frankly, I am anonymous on here because, those who have stood up for this family have been targeted- people have driven by and taken pictures of their homes and of their children playing outside. I fear for my family’s safety if my identity is known, but I feel it is important that people know that they do NOT have all the facts. This situation has grown out of control, and I can only hope as parents we set good examples for our children, and treat others as we ourselves would want to be treated. I just love that the people that “know” information remain anonymous. Hmmm? Exactly for the reasons stated. Those who already told the truth are being bullied and harassed. Every one else commenting that doesn’t “know” is giving support on rumors instead of asking for the truth BEFORE they pass judgement. I am very frustrated by the whole situation. I was at the BOE mtg when officer Kelly (the schools DARE officer) voiced his support for Mr. Argoe. Approx 4 teachers also spoke on his behalf. Other local police, and many parents also were in attedance. The BOE would not anwser whether they had preformed a proper investigation. I think if the BOE would just state that a proper investigation was done to the satisfaction of the complaintants and to Mr. Argoe, the public would accept this. That was not done. Mr Argoe cannot speak on the issue just as the BOE cannot due to privacy issues. He did not relate any names of the complaintants or details of the case to myself nor my wife. If in fact Mr Argoe did something so haneous requiring termination, I would approve. By my own experience with dealing with Mr. Argoe, I find that hard to believe, but nothing is impossible and we are all human. Please don’t expect me to take the BOE’s ‘word for it’ that Mort did something real bad, and say ‘ok’. This is sad. Why does there need to be division? What can’t everyone come together and agree on what is best for ALL of the kids? I was bullied, and the administrators and teachers didn’t always handle things like my aunt and uncle wanted, but we never wanted to see anyone lose their job. You are all so misinformed! When did it become a society when you chastise other mothers for sticking up for their child? Are you all so ignorant to not even understand how the process works? Do you know that there was a threat of a lawsuit? Did you see a lawyer at that meeting? NO…you didn’t. What would you really do if your child was in a situation that was handled by a “mistake”? How do you think a “mistake” has affected many young people in this country in many bullying cases? Do you read the news? Why don’t you spend more time on trying to understand what you and you nasty, belittling comments are doing to this family and their CHILDREN! It is understandable that you support this principal with your own experiences….and what if you were the mother of the child that he had made the “mistake” which so impacted your child’s life? Try to be kinder! You never know when it may be your turn to be in a position that you ONLY reported something to higher authority…and it became out of your hands at that point! Why not stop the bashing a family and a good mother that has stuck up for her child just as you would do! If there is drama then you have all created it since you all even state that you don’t know all the facts…and what makes you think that this is the only incident that was reported? Why doesn’t Mr. Argoe make public all the allegations using no names…I’ll tell you why – because he doesn’t really want you all to know. I hope none of you go to church or claim to be in any way Christian…because your not of those values! You are blaming one family and one mother that has only stuck up for the legal rights of her children. You should all be a little kinder and not throw so many stones…especially those of you who do not live in glass houses yourself! I am a Christian, I believe that Thall Shalt Not Judge. I do not have the Right to judge Mr. Argoe on anonymous words. I have blind faith in my Lord Jesus Christ, but not blind faith in my Board of Ed. I want a PROPER investigation. As the mother of a child with issues, who LOVES Mr Argoe, I owe it to my other child who has been the victim of bullies, to keep my mind open until the FACTS are made known. The Board is as shady as you claim Mr Argoe to be. I can trust no one until I have evidence. I am not throwing stones. I am collecting the ones thrown at the people of this district; the stones that say we are not to know anything, but agree to what has been decided for us, on behalf of a few to the dismay of many. I think you need to stop having blind faith in 1 man and trust the the 9 man and woman who are on the board. It seems more possible for 1 man to be wrong as opposed to 9 elected officials. I wish we had all the facts. I am really starting to believe that there is more to this story than meets the eye. I am not sure Mr. Argoe is as innocent as he is pretending to be. Yes we all make mistakes but we need to own up to them and move on. If it was a little mistake own up to it and ask for forgiveness. Saying I’m sorry goes a long way. And if the board is wrong they they need to own up to it. I never said I had faith in Mr Argoe. Never. Putting words in people’s mouths can be dangerous, considered bullying even, so please tread lightly. I want to also add that my son was strangled in the AVON SCHOOL bathroom by a school bully last year. I was told my son was in a “scuffle”, and that I shouldn’t worry because my son is a “good boy” and “did nothing wrong”. Tony Arcodia did more to protect the boy who strangled my son. Due to my Christian nature, I took NO LEGAL action against the school district. Please do not think Mort is the only one to blame, he has a boss, the same one who didn’t realize bruising around the neck and petechia under the eyes of my child was a sign of an aggravated assault. We turned the other cheek as a family. My awesome child forgave the boy who tried to end his life. I should not expect others to forgive Mort’s mistake as I forgave Tony’s. I mean, my son could have only been killed, no biggie. Thank God there was an angel in the bathroom stall to pull the bully’s hands from around my son’s neck, the Board of Ed must have sent him. I agree that it is very frustrating not getting any answers from the BOE, but by law they can’t even say their is a problem. On the other hand Mr Argoe has the right to defend himself against the charges that he is faced with, but without identifying anybody that this was being done too. I was at the meeting too and I noticed that he was advised 4 times that he could defend himself and he declined. I am sure that it is frustrating for the family to that reported the incident because now people are bashing them for standing up for their child. I would like to know the whole truth as well, because if it did come out I am sure Mr. Argoe would not be seen as such a hero. No board of education can force the resignation of a tenured employee. They can only file tenure charges which would then force their complaints to be made public. Mr. Argo’s resignation forces the board to keep quiet. Well played Mr. Argo, well played! Over 200 townspeople and students showed up at the April Board meeting and over 75 showed up at this meeting to support Mort Argoe, considering it was the public perception that the Monday date was supposed to be changed to a different date, AS OPPOSED to the 3 or 4 people that showed up for the SB President who is being asked to resign also!!! The person MOST RESPONSIBLE for spreading her plight and family name around town via FACEBOOK was the complainant herself, not Mr. Argoe. And this was not the first time she aired disparaging remarks about both Barrington Schools and the town itself on Facebook. Also, there’s a question surrounding the residency requirements concerning the complainant and the date of enrollment of the children in our school district. As a taxpaying citizen, I cannot ignore this misuse of our educational system, if it occurred. Bottom line, if living in Barrington is causing this family so much grief and they don’t feel safe attending our schools or living in our town, then they can rent a house in another town. Unfortunately, our hardworking students and dedicated teachers will have to live with the aftermath, which is the saddest part of all of this. At this point, I will not engage in a back and forth anymore. ALL the facts will eventually be disclosed if and when a thorough investigation will finally be conducted by the proper authorities. You did not clear up any, as you state “misfacts.” In fact, you are wrong in just about everything you said. Not trying to “engage” with you. Just pointing out that you do not know what you are talking about. A thorough investigation should surely be done so all of these LIES stop getting spread. YOU have the misfacts…first, the ONLY person responsible for all of this is Mort Argoe…have him make public his FILE…come on…I challenge you to all have Mort open up the information himself…Also, I happen to be a facebook friend of the person who you think is spreading her plight…and you are 100% a liar! There has never been one thing on facebook about this specific issue…NOT ONE! Next, you are wrong about the residency of the complainant…and with all that said…I challenge you again to stop the bashing of the family and have the “beloved” Mr. Argoe open up his COMPLETE file to all of you. You should know that the “complainant” only reported to higher authorities the incident concerning her child. How dare you be so bias against a mother that is concerned for her child. She did not start a “Fire Mort Argoe” page; she didn’t rally residents to go to the meeting to call for his job, she didn’t email HER friends in the community to cause a rift among our neighbors…SHE ONLY REPORTED TO HIGHER AUTHORITIES the incident concerning her child! Again, I would say that just maybe there are other situations/incidents that had to lead up to his resignation…it could not be just one incident. So, ask Mort Argoe to give consent…the answers all lie within him! Wow – again,SO misinformed…….we have printed out the pages of HER FACEBOOK that she started with her “am ashamed to live in this town” and “it was also about bullying and the law” regarding this very topic, where she and her friends attack this town and its people regarding this very incident! Need I go on? Who is the bully here??? As far as “And you are 100% a liar”……..you better watch your libelous words, because her FACEBOOK pages are printed out for the authorities to review when a proper and thorough investigation is undertaken. I am concerned whether a complete and thorough investigation of the incident, or mishandling of the incident was ever undertaken by the Board of Education. I was told that the school board president is a good friend of the family at the center of the controversy yet did not recuse himself. Was an investigation conducted and what was determined from the investigation? As a resident who was dealt with Mort for many years, both as a parent and on behalf of community organizations, I have the utmost respect for him. He cares deeply not only for his students but for the community as well. The community is not made privy to information or details of this matter. If the anonymous people on this blog have information on the “facts” of the matter, they could be shared without divulging names. I have not seen any bashing of the family on here, only concerned residents of the community supporting a person they believe in. Everyone is human and makes mistakes but was the extent of the mishandling so profound as to warrant the resignation of this man who is cleared beloved and respected by so many in the community? One incident of mishandling at the center of the controversy vs. years of dedicted, committed service to our children and our community. As questions loom over whether the incident was properly handled and a thorough investigation conducted by the district, I think its time the County steps in and conducts an independent investigation. Lets start at the top and lets clean house.1st to go Tony Arcodia. Sorry Tony but all this happen on your watch. How funny was it when asked by another Board member u could not remember if you approved a school function or not. ( that was not voted on ) You looked stressed out and god knows we need a leader that wont forget the basics. Unfortunately, no one knows any of the details in this case except the Board members. We need to trust the board members that we elected into office. Look at these board members do you really believe they would take this kind of action if it was’t necessary? Maybe the questions that need to be ask are why wouldn’t Mr. Argoe let the board discuss the reason behind the board asking for his resignation? Also, Mr Argoe has never been tenured as a principal in any district other than Barrington, why is this? He resigned in Moorestown, West deptford and other districts too. Why is this? This seems to be a pattern and should be of concern to the parents in the district. Because he resigned from the other districts they are not allowed to discuss and of the incidents that occurred in their districts so the public doesn’t ever get the details. Seems to me that Mr. Argoe is taking the easy way out. I hope the board doesn’t accept his resignation and instead fires him so the public will be able to see what kind of man Mr. Argoe is. Yes, Woodland school is a nicer place than it was 6 years ago but why can’t it even be better? Let’s give all of our children a principal that can be trusted and cares about each and every one of them. I challenge the writer of the barrington bulletin to dig deep and find out why Mr. Argoe resigned from all these other districts. Well I heard the person that is causing all the mess in this town and a friend . Heart a family really bad telling a not so true story about child health issue and scared the h— at of the parents. so who is the bully now.?? does she really have a right to do what she is doing??? hmm I believe the town needs to check every detail out because I know the true story is out there and I would love to give Mr. Argoe credit for helping us get our town back. Maybe next year we will have some new faces on the board. Every child should count not just one family. The bulling laws for every child . @anonymous…right EVERY child! …and lol – I really hope you do check out the details because there you go again with the lies about the person standing up for her child…and she does have a right to report to a higher level a mishandled incident – that is by law. How about you ALL stop focusing on the parent of the child and start focusing on getting Mr. Argoe to let you all know what has been reported. Maybe he can scan and post it page by page on the We Support Mort Argoe facebook page. I doubt he will – ask yourself why! I don’t think we should let this tear our town apart. I hate that there is such a divide that is caused by Mr. Argoe. He is telling people what he wants them to believe. Ask him why he resigned from all the other school districts. I commend our board for taking action to protect our children. The truth will come out and we will find out what kind of person Mr. Argoe really is. I just hope the truth comes out before anyone else is hurt. I find it interesting that all of the “anonymous” bloggers on this site claim to know the “truth” of the matter and the “truth” about Mr. Argoe but say nothing. If you know the truth, why don’t you put it on here for us all to know – why do you hide behind anonymous tags. If you are all-knowing, share so that the ‘misinformed public’ are aware of the facts. I have not seen any bashing on here as to the family at the center of this controversy. They are certainly entitled to request an investigation if they feel that their situation were not handled properly. Any parent is entitled to do that and I would do the same. However, I do not feel that one situation handled poorly warrants Mr. Argoe’s termination or resignation. What about the hundreds of situations that were handled correctly? I also question whether a complete and thorough investigation was conducted by the board. This controversy has gotten so huge that an independent investigation by the County should be conducted so that all parties are satisfied. Mort has had many years of dedicated service to our children and our community and has many loyal supporters. Those supporters want to make sure that he is treated fairly in this matter. I believe enough is enough . This family has done more to hurt this town than make it better. Sorry but she has been known to add just a little to storys to benifit her and her needs. She is the bully .i really dont think people are making lies up i think someone cant stand hearing the truth. She will hurt other familys for her own selfish needs. As far as mort some kid or family will tell the true story. Maybe not because of the private issue. Did you ever think he is keeping his mouth shut because he cant name names in public .the new bulling laws. Sorry but people do know this family very well. Maybe you need to take a class on what good people are. FINALLY….Come to the school board meeting tonight where documentation from the parents directly involved will be presented to put to rest once and for all that Principal Argoe did not violate any bullying policy or procedure. If a thorough investigation had been conducted to begin with, this town would not be suffering from this huge mess. Shame on the Superintendent with his own agenda and the School Board members who blindly believed whatever they were told……. They will now HAVE to answer to the County investigators. apparently the piles of letters from parents supporting this principal fell on deaf ears and he was forced out last week! Ah, to have friends in high places – how DO people look themselves in the mirror? This entry was posted on May 16, 2012 by Barrington Bulletin in Schools and tagged argoe, barrington, bullying, resign, resignation, school, woodland.